Description: This lovely bow made at the firm of W.E.Hill & Sons of London, England was made in 1955 by the premier maker William Watson. This bow was specifically made for an exhibition of Hill’s work in Chicago in 1955. A special engraving was made to the frog to indicate this event reading: HILL EXHIBIT CHICAGO 1955. 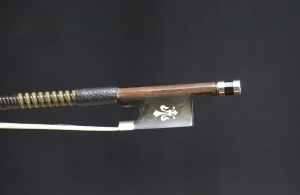 The bow is made in tortoiseshell and silver and has fleur-de-lys inlaid in the flanks of the frog. 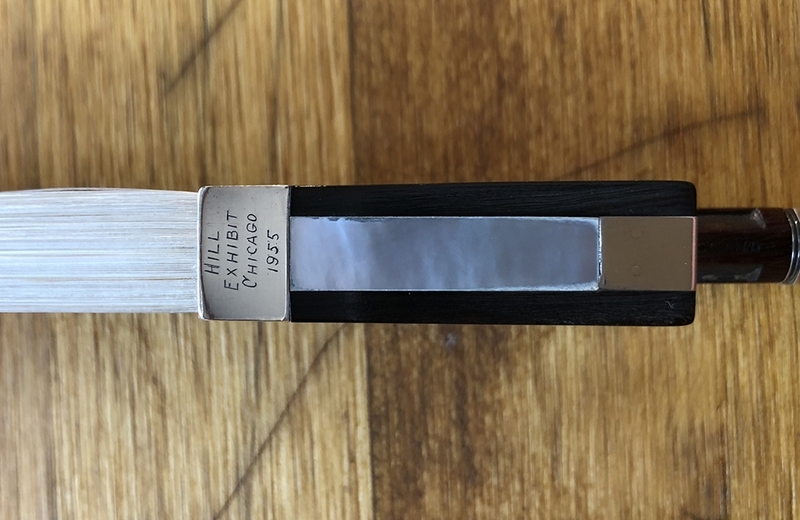 Octagonal stick with silver and ebony faceplate. Original whalebone wrap. 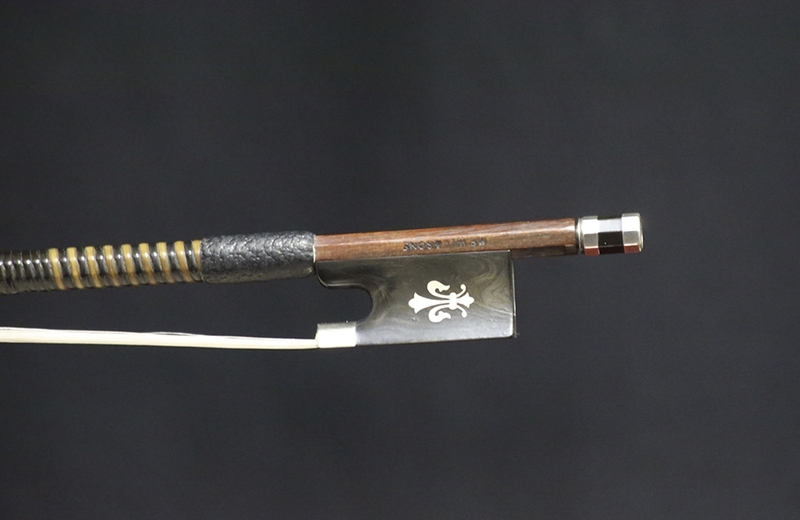 This bow is in excellent condition. 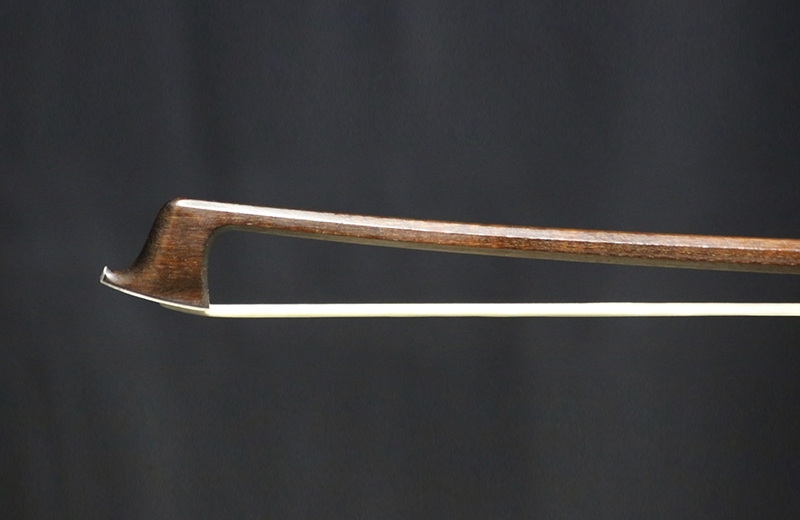 Beautiful playing bow which is strong and very well balanced and very easy to bounce. 61.3 grams.